GE Money Bank in cooperation with Visa Europe has launched a contactless service to further extend its card portfolio and allow its clients to pay using contactless-enabled cards. The technology will enable clients to pay by simply waving their contactless-enabled card to the payment terminal. Once the card has been waved, an antenna reads the card and payment is processed without requiring a PIN. Therefore providing a more convenient, easier and faster payment method for its customers. Contactless technology is also much safer. 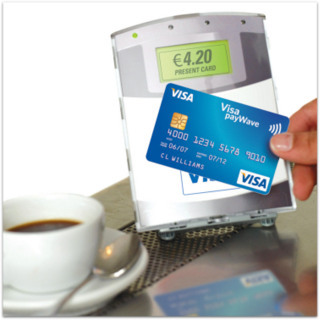 If the card records several consecutive contactless transactions, the cardholder is prompted to insert the card into a payment terminal and enter PIN. This is designed to deter fraudulent use when the card is lost or stolen; each time a PIN is used it re-affirms that the cardholder is in possession of their card. There is a range of locations where a contactless card can be used – from minimarkets to hypermarkets, fast foods, restaurants and cafes. 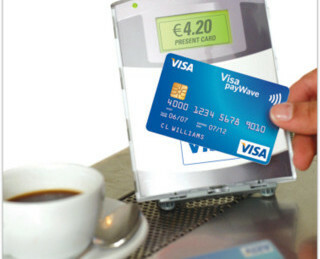 Contactless card payments are offered by chain of stores such as Spar, Billa, Penny Market, Globus, McDonalds, Costa Café, Datart and Cinema City.